Building an intranet based on SharePoint can be challenging. Wizdom offers you the right tools and modules to meet user’s expectations of an intuitive digital workplace and helps each employee perform their tasks easily and quickly. Microsoft SharePoint is a powerful and useful intranet and collaboration platform. Most likely you will want to tailor the platform to your exact needs. Wizdom enhances SharePoint with additional configurable modules that solve the most common requirements of end-users and gives SharePoint an extra polish with responsive design for mobile access. That’s why ELCA decided to partner with Wizdom in 2017. Wizdom is comprised of several modules that exist alongside SharePoint features and your custom-built solutions. Wizdom does not hide any out of the box SharePoint features. Wizdom easily solves common Intranet needs and helps dedicate investments for added value items and integrations in your digital workplace. 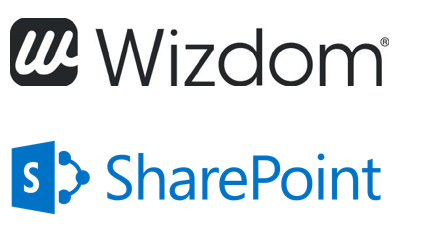 Wizdom runs apart from SharePoint, which allows updating Wizdom and SharePoint separately from each other. This gives you more flexibility to profit from Wizdom’s fast update schedule and new features, without impacting stability or availability of SharePoint. Wizdom uses the same solution for running on-premises or in the Cloud, which means you can easily migrate your customizations from one to the other. "Deliver the best possible intranet based on SharePoint in the cloud or on-premise", is the mission statement of Wizdom. ELCA has over 50 years of experience in IT projects. At the start of each project, we work with you closely, to understand your company and business goals and identify which steps are vital for your organization. With ELCA and Wizdom you have a great foundation on which to build your intranet and collaboration success – and maybe even reach the clouds. Our Enterprise Content Management (ECM) department does not only deal with SharePoint but covers all aspects in managing information and documents. Expert knowledge in scanning, long-term archiving, automatic content classification, records management and other aspects is what we bring into our projects additionally. The Digital Workplace increases productivity and profit by working with new intuitive, creative technologies and is the centerpiece of your Digital Transformation journey. ELCA’s eDossier enables employees a 360° view of all documents and correspondence related to a customer or to a business case that might be centrally managed in an electronic file. ECM provides methods, technologies and tools for creating, managing, publishing and archiving content - making it a link between business processes and IT systems.